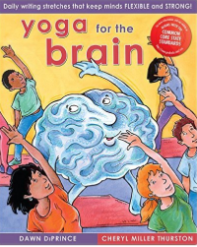 Yoga for the Brain helps writers of all ages, 12 through adult, learn to write more freely, take risks, and experiment and play with language. Far too many people have come to look at writing as a chore, something to be graded or picked apart. Yoga for the Brain quickly helps dispel that notion with 365 daily writing prompts that are interesting, playful, lighthearted, challenging, quirky—or all of the above! This book also includes suggestions for "real world" writing activities that are designed to help involve writers in truly meaningful projects as they hone their writing skills.